Queen Victoria Street from Nails Inc- Potentially my new favourite bright shade. When it comes to nails I tend to stick to my reds, pinks and nudes but I feel like when I have a manicure I should try shades that I don't own or wouldn't normally buy. 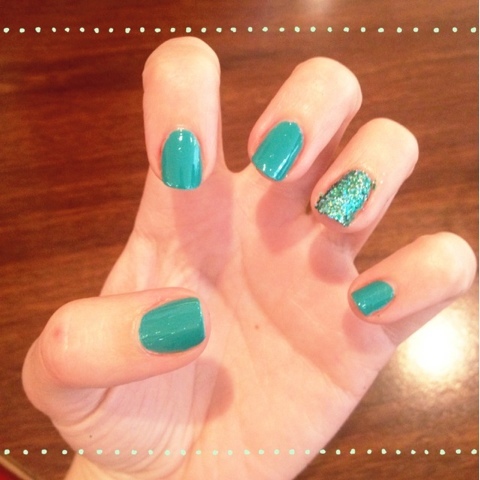 I really love this shade, it has hints of turquoise and blue in it making it the perfect emerald green. This shade is from their new range which you can buy on it's own or in a set with the glitter- perfect for party season.